Play Hearts online for free now! Hearts is an American trick-taking card game from the 19th century for 4 players. In German-speaking countries it is also known as "Schwarze Katze" and in Great Britain as "Black Lady Hearts". The game is a member of the Whist family of which Bridge is a variant. There is no trump in this game and you must follow suit, but not tricks. 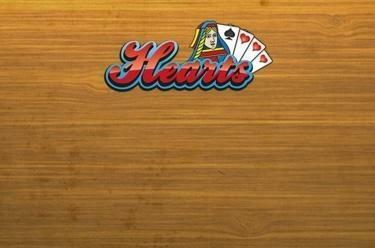 The objective of the game is to have as few hearts cards as possible in your tricks, not to take the queen of spades in a trick to avoid winning points and not to exceed the points limit at the end of a round. You win if you have the least number of points in your account!